CC Sabathia just had to regain his form (such that it is) in this series opener. The Yankees had been on a five-game schneid, during which they were swept by the Mets. If bath salt attacks haven’t convinced you of the zombie attacks, the revitalization of Travis Hafner, Lyle Overbay, Ichiro Suzuki, and Vernon Wells should. What is dead may never die, but rises again, irritatinger and annoyinger. 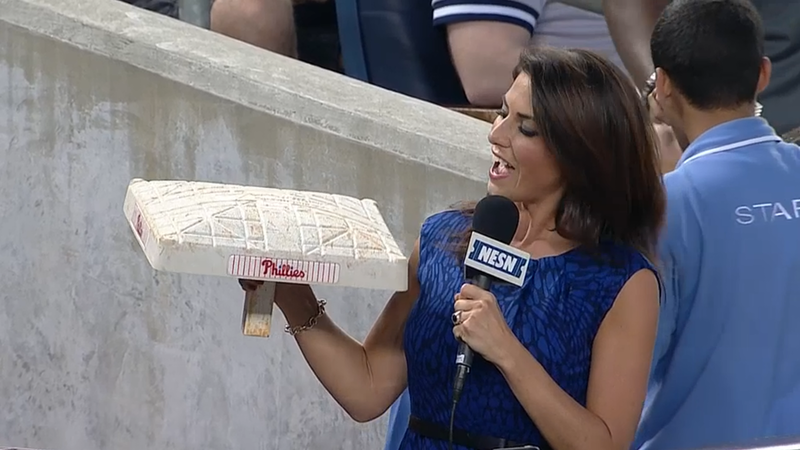 It was nice of the Phillies to give Jacoby Ellsbury the actual base that broke the franchise record of stolen bases in a game. They didn’t throw it at him with some batteries.